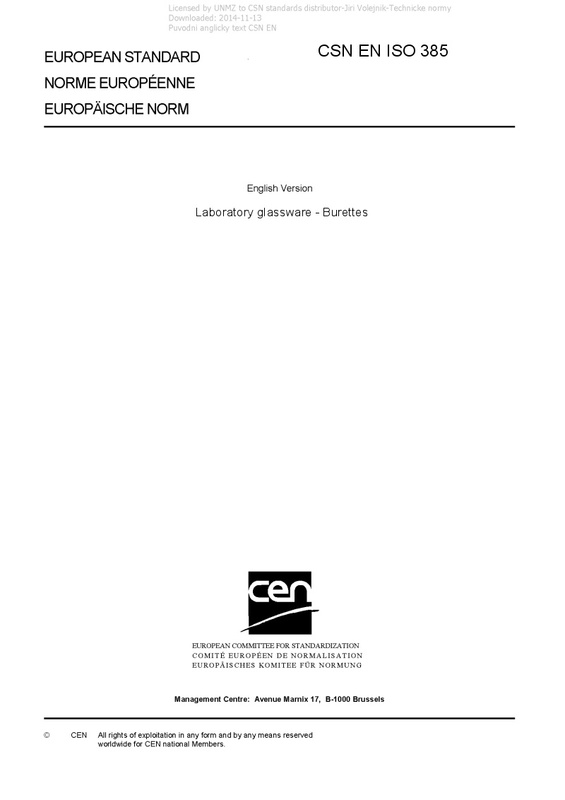 EN ISO 385 Laboratory glassware - Burettes - This International Standard provides metrological and construction requirements for an internationally acceptable series of burettes, suitable for general laboratory purposes. The details specified are in accordance with the principles of design and construction of volumetric glassware given in ISO 384. For piston burettes, see ISO 8655-3.